Tottenham Hotspur managed to turn around what was a nightmare start for the Lilywhites. Luke De Jong gave PSV an early lead after less than two minutes on the clock. But two late goals from Harry Kane kept Spurs' Champions League journey alive. 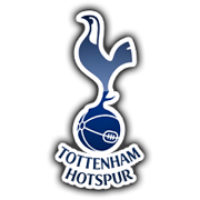 Spurs now face a crunch game against Inter Milan at Wembley on 28 November. A nightmare start for Spurs as Luke De Jong headed the visitors ahead within the first two minutes. From a corner kick the former Newcastle United striker wriggled away from Dele Alli to power his header beyond Paulo Gazzaniga. It was the worst possible start for the Lilywhites. Spurs almost drew level straight away when Alli's flicked effort was headed off the line. 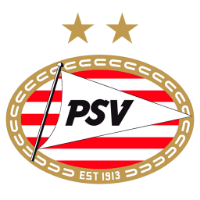 Lucas Moura drove through the PSV team to work his way into the box but his initial shot was blocked and his follow up flew over the bar. Alli broke down the left side to tee up Christian Eriksen but from yards out the Dane struck Jeroen Zoet - as did Alli with the rebound. Zoet pulled off another heroic save from a half-volley from Alli to deny the Englishman once again. Overall a wasteful first 45 for the Spurs side who found themselves with a mountain to climb just two minutes into the game. 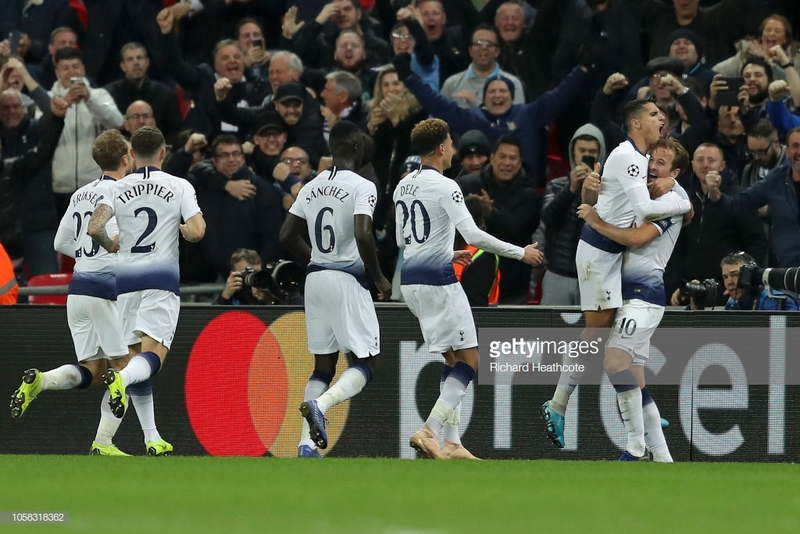 As it stood, Spurs were facing being dumped from the Champions League and as the sides came out for the second-half no changes had been made by Mauricio Pochettino. Heung-min Son was played in on goal by Alli but the South Korean was unable to beat his man but did earn a corner. Gazzaniga came to Spurs' rescue on the hour mark with a vital diving save from a PSV corner. Gastón Pereiro managed to find a yard of space and direct the cross goalbound but the Argentine goalkeeper managed to keep it out. Spurs were really piling the pressure on with Erik Lamela being deployed to bolster their attack. Son tried his luck from outside the box but Denzel Dumfries was able to deflect the effort wide. With no luck in front of goal, Pochettino was forced into bringing on Fernando Llorente in hope of the Spaniard offering a better aerial threat. 15 minutes remaining and Harry Kane fired Spurs level. Llorente who had just come on fed the ball into Kane whose left-footed effort proved too much for Zoet to handle. A deserved goal for all of Tottenham's dominance throughout the game. However, minutes after the equalising goal PSV almost won the tie. Donyell Malen broke free and only had Gazzaniga to beat but the Argentine stood tall to deny the forward. Llorente had a golden opportunity with 5 to go but his header fell straight into the hands of the PSV keeper. It was that man Harry Kane to come to Spurs' rescue with one minute of the 90 to go. Kane's headed effort took two deflections before beating a resilient Zoet in goal. An incredible slice of luck for the Lilywhites but thoroughly deserved luck. The victory keeps Tottenham's Champions League dreams alive but only just.